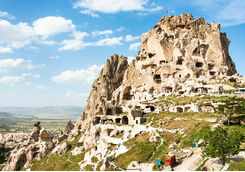 Explore Turkey in all its glory, on this amazing 12-day trip. 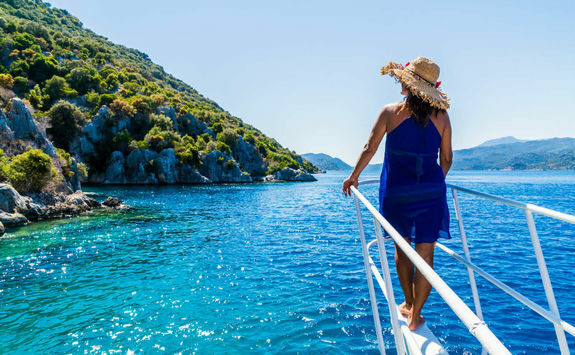 From Istanbul's cool, cosmopolitan city life to the dramatic mountainous landscape of the Cappadocia region and the laid-back beach vibe at Bodrum, it's all packed into this unforgettable getaway. 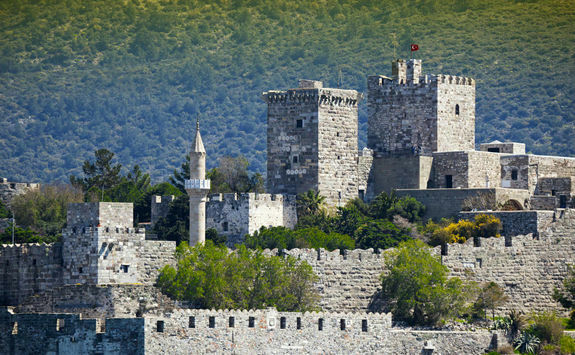 Catch your four-hour morning flight to Istanbul. One of our team will meet you at the airport and help you transfer to your hotel - a drive that takes around half-an-hour. 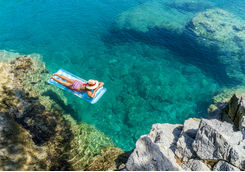 Spend the rest of the day soaking up the luxurious surroundings of your five-star hotel, right on the Bosphorous waterfront. 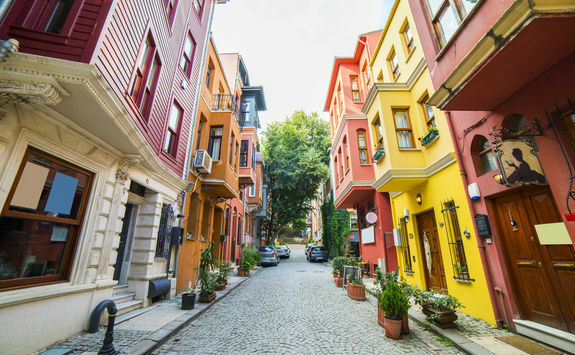 Start your exploration of Turkey this morning with a private guided tour of Istanbul, celebrating the historic city's Ottoman Relics. 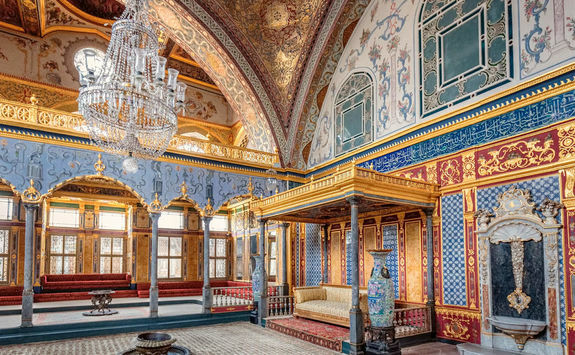 First stop is the opulent Topkapi Palace, a huge 15th century palace complex with a very colourful history, and a great place to get insights into the history of Turkey. 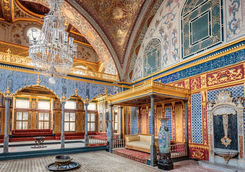 Originally residence to Fatih Sultan Mehmet, then subsequent Sultans right up until the 19th century, the Palace gives a glimpse into what life was like for these powerful Ottoman Sultans. The sprawling Harem, spread over 400 rooms, was home to the Sultan's wives and many concubines, and an unmissable part of the tour. 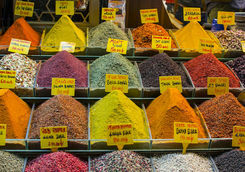 Afterwards, explore the world-famous Grand Bazaar, a mind-boggling labyrinth of over 4,000 tiny shops, selling everything from jewellery to Turkish carpets. 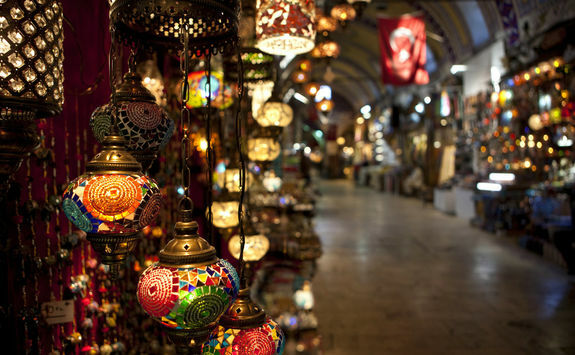 It's the perfect place to put your haggling skills to the test, but even if you don't want to buy anything, just walking through this bustling and chaotic maze of shops is an experience in itself. 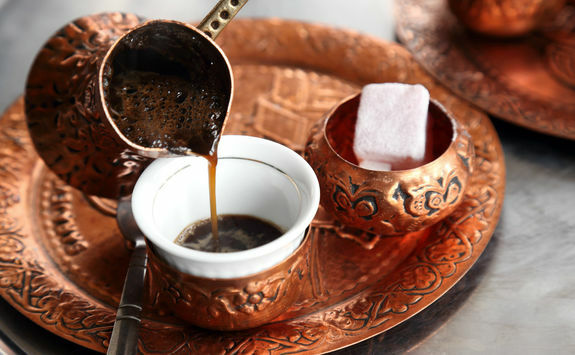 Stop for a traditional Turkish coffee at Sark Kahvesi to take in the unique atmosphere. 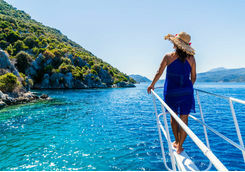 Finish your day with a luxurious two-hour cruise on a private yacht, sailing along the blue waters of the Bosphorous. 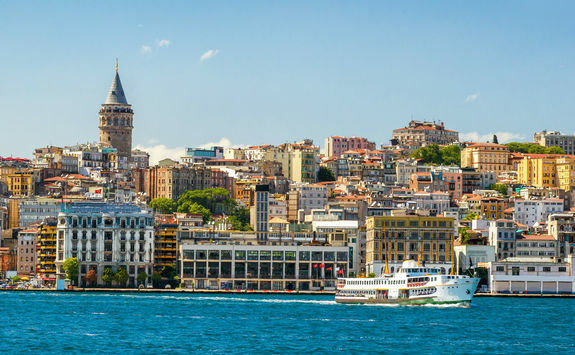 With Europe on one side and Asia on the other you'll get to see some of the city's best sights, including the Ortakoy mosque, the Rumeli Fortress and the Bosphorous Bridge. 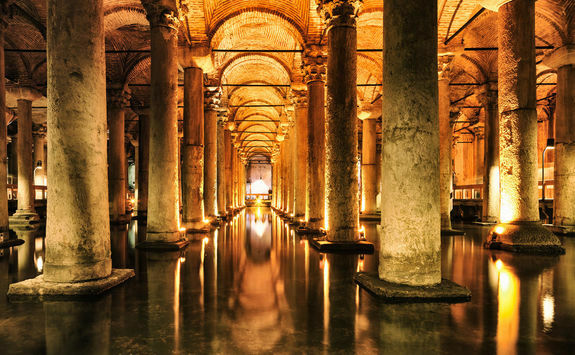 A truly magical way to see Istanbul in a different light. 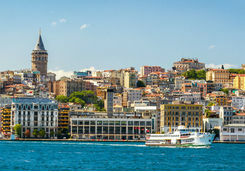 Once you're back on dry land, freshen up at your hotel before heading out to experience Istanbul at night. Our Concierge has all the insider knowledge on where to eat, drink and dance in this cosmopolitan city. 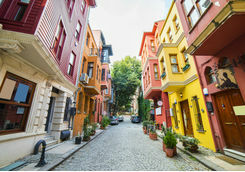 Today you'll step back in time, to learn about Istanbul's fascinating Ottoman and Byzantine history. 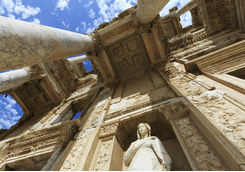 Your tour guide will share eye-opening stories of the past, as you visit the Hippodrome - once a public area, home to rowdy chariot races and gladiatorial games, and now a tranquil square surrounded by landscaped gardens - before moving on to the Blue Mosque. 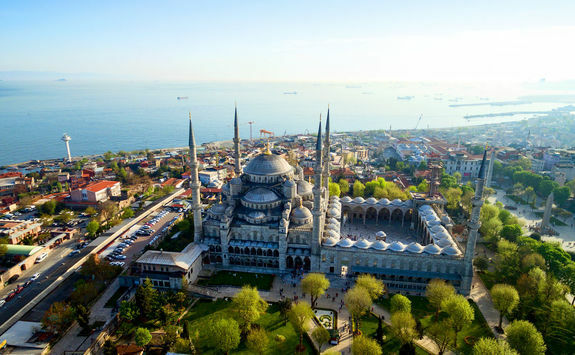 Arguably one of the city's most iconic landmarks - and an absolute must when exploring Turkey - this enormous mosque is so-called due to the blue tiles that decorate the interior walls. 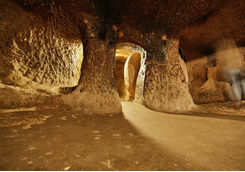 You'll also get the chance to explore beautiful Hagia Sofia. 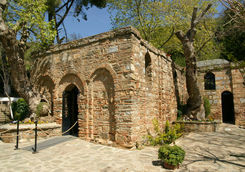 This 1,500-year-old landmark is not only a feat of Byzantine and Ottoman architecture, but also one with a unique past, starting out as a Greek Orthodox church before turning into a mosque. 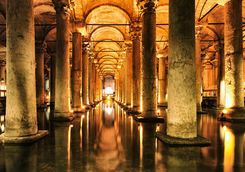 After a short stroll, you'll get to learn even more about the history of Turkey as you head underground to the impressive Basilica Cistern - an atmospheric world of pools and columns built in the 6th century to provide water for the city. 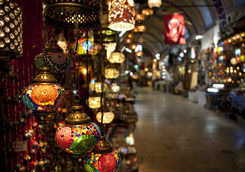 Back above ground, round off your tour with a trip to one of Istanbul's oldest bazaars. 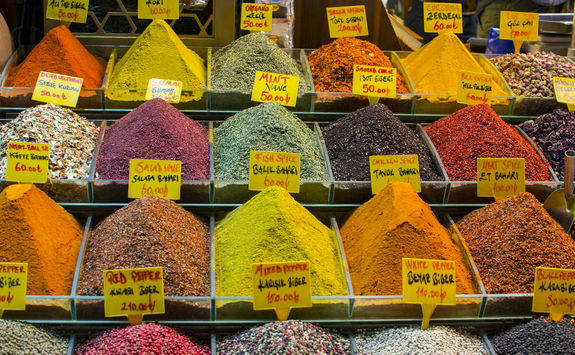 The Spice Bazaar, with its heady scents of saffron, cloves, sugar and spices, is a real treat for the senses. 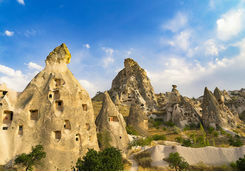 Enjoy a leisurely Turkish breakfast and a final morning of sightseeing in Istanbul, before your driver takes you to the airport for your afternoon flight to the Cappadocia region. 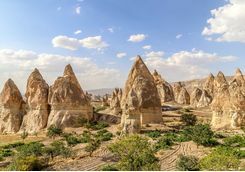 It takes just under an hour-and-a-half to fly to Kayseri, where you'll be met by a member of our team who will help you transfer to your hotel, an hour away. 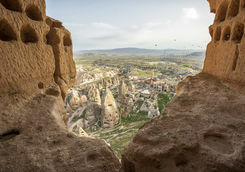 Set in the heart of mountainous Cappadocia, in Old Uchisar village, your home for the next three nights is like no other. 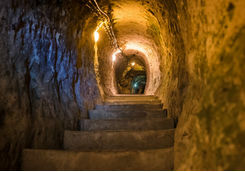 This unique hotel sits on the site of an ancient monastery, which has been carefully restored and converted to bring the old dwellings, underground tunnels and caves to life. 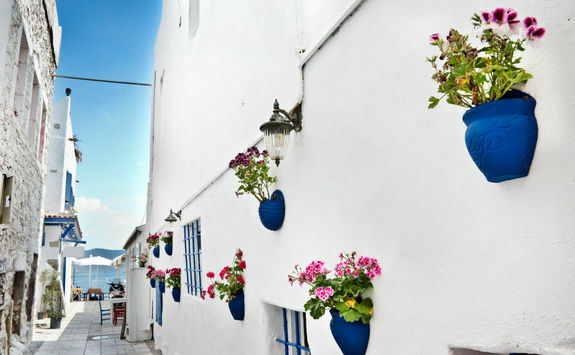 Original, beautiful and effortlessly charming, you couldn't wish for a more magical place to stay. Unpack, relax over dinner at the hotel, then sit back and soak in your surroundings with a cocktail or two on the terrace. 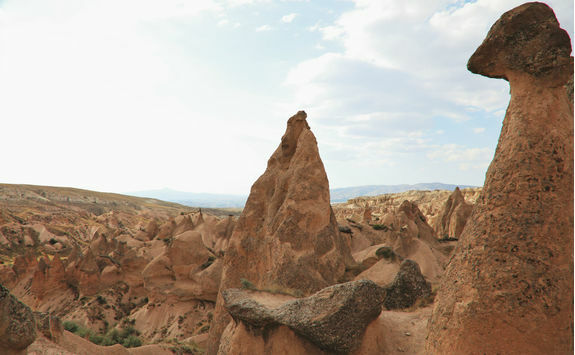 Cappadocia boasts the most incredible landscape and today you get to explore this other side of Turkey in all its glory. 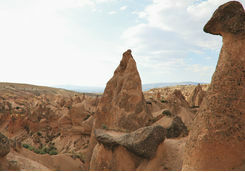 You'll be met at your hotel by your guide, who will take you on an unforgettable tour. 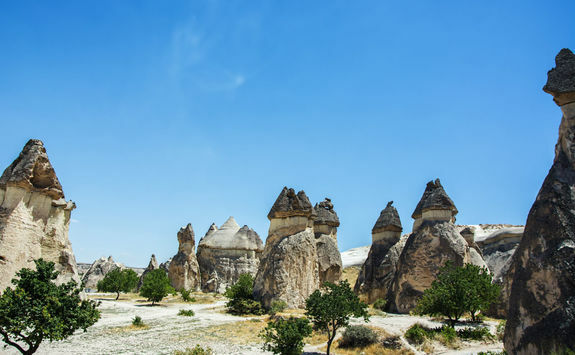 First stop is the Devrent Valley, where you'll be greeted by other-worldly rock formations that look like something straight out of a Star Wars set. 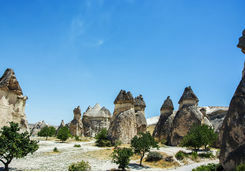 Wander through the spectacular Pasabag Valley, past the 'fairy chimneys' and 'troglodyte houses' for an "I can't believe my eyes" experience. Explore Zelve, an old ghost town that used to be home to both Christians and Muslims together in a crazy complex of honeycombed cave dwellings, then visit Avanos, a village whose inhabitants have been producing terracotta handicrafts since 3,000 B.C. 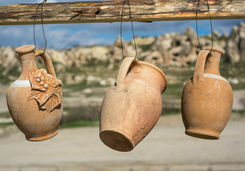 Learn the ancient skills in a traditional pottery workshop, before travelling to the UNESCO World Heritage site of Goreme Open Air Museum. 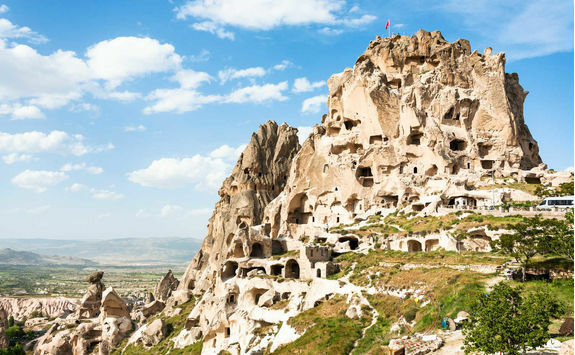 The dramatic rock hewn architecture of the monastery and church is truly jaw-dropping and the stunning Byzantine frescoes that decorate the interiors will stop you in your tracks. 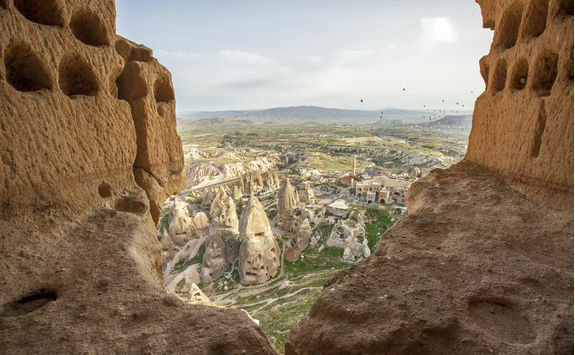 Finish off this unbelievable adventure at Uchisar Rock Castle, the highest point in the Cappadocia region with breath-taking panoramic views across the valleys - the perfect spot to watch the sun go down and reflect on a day's exploration. 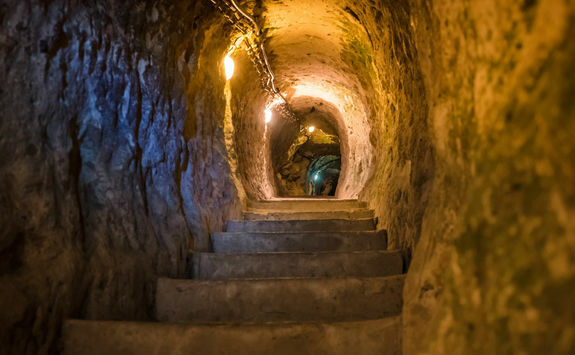 Your eye-opening tour of the weird and wonderful scenery of Cappadocia continues today, with a subterranean trip to Kaymaklı underground city - a labyrinth of over 100 tunnels. 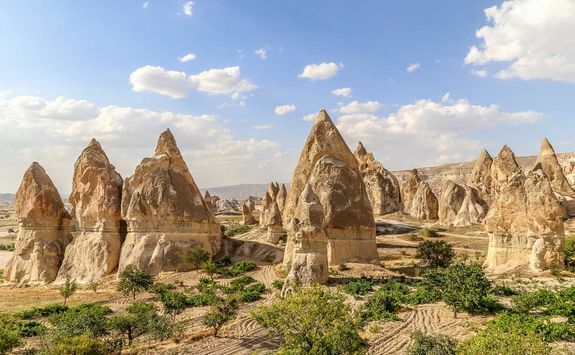 Once you're back above ground, you'll be whisked off to Sognalı Valley, to walk among the cave churches and frescoes that are nestled into this wild, natural setting. 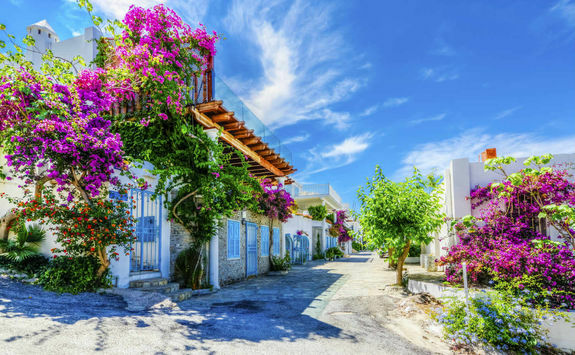 You'll also get to explore Sognalı village, where the traditional Turkish way of life has remained largely untouched - expect stunning views and the warmest welcome from the locals. After a quick stop for lunch it's onwards to Sahinefendi, where the first signs of a Roman settlement were uncovered by 2002 treasure hunters. 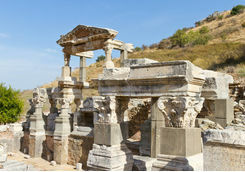 Finally, wrap up the tour with a visit to the old Greek town of Mustafapaşa (Sinasos). 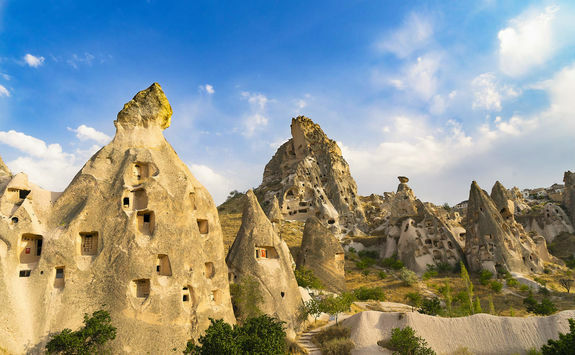 After a day of exploring even more of Turkey's intriguing history, it's back to your hotel for dinner and more al-fresco cocktails, to celebrate your last night in Cappadocia. 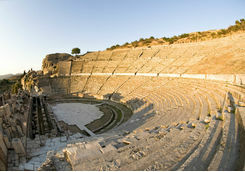 Enjoy a private transfer from your hotel to Kayseri airport, to catch your domestic flight to Bodrum via Istanbul. 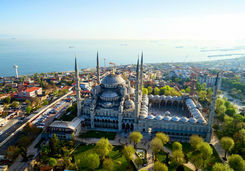 The journey takes three-and-a-half hours in total, with a short stopover when you transfer at Istanbul. 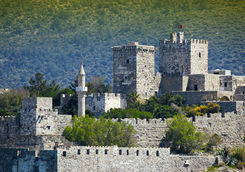 A member of our team will meet you at Bodrum airport to transfer you to your hotel, just one hour away. 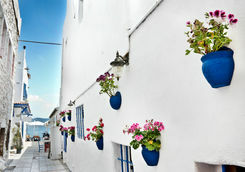 Your hotel resort is perfectly placed to explore Bodrum. 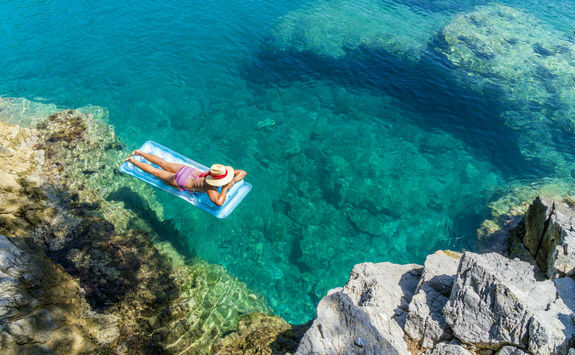 Once you've unpacked and settled in, relax in the sun by the pool, taking in the gorgeous sea view. Today is all yours to spend as you wish. 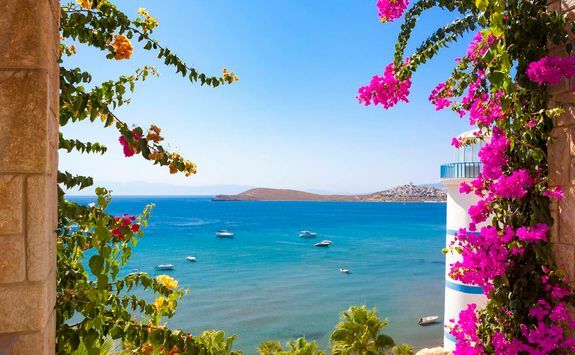 Take a dip in the blue waters of the Aegean before chilling out on the beach, exploring the Turkish coastline, or just stretch out with a good book by the hotel pool. If you're in the mood for a pamper, the hotel's spa offers some seriously indulgent treatments that will leave you feeling brand new. 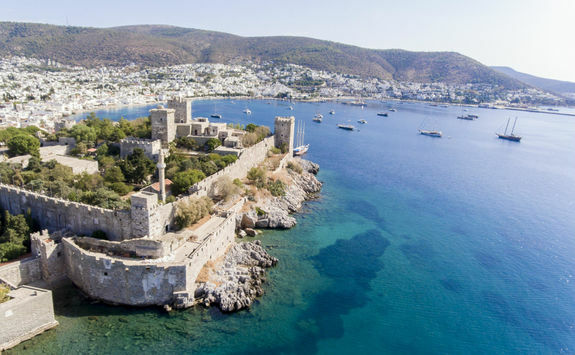 Bodrum is surrounded by some of Turkey's most important archaeological sites, so today your guide will pick you up from your hotel to show you some of the best. 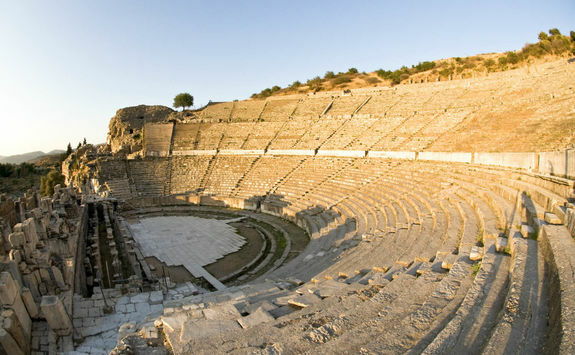 After a two-hour drive, you'll arrive at Ephesus Ancient City, one of the most prominent centres for science and art of ancient times. 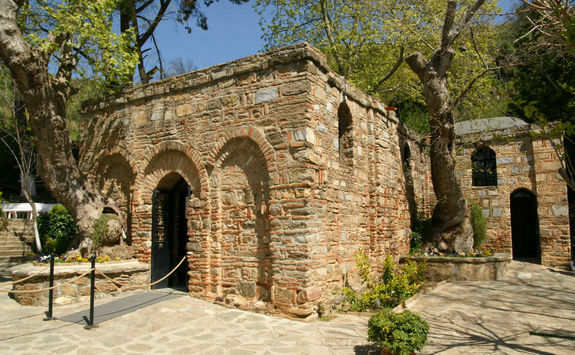 Enter through the Magnesia Gates, then enjoy a relaxing, downhill walk into the impressive ruins of this Roman provincial capital. 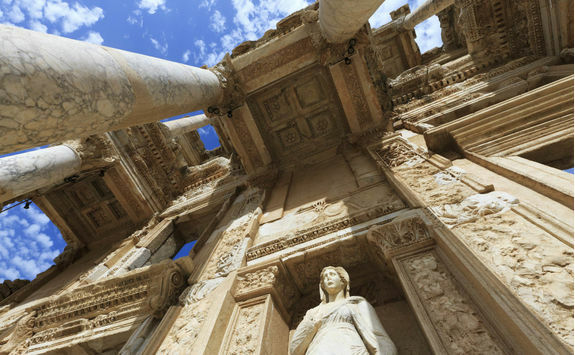 Stroll past the Odeon, Fountain of Trajan, Celsius Library, Great Theatre and the Temple of Artmeis - one of the Seven Wonders of the Ancient World. 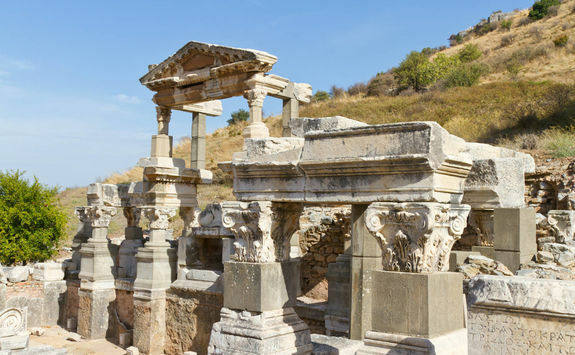 Your tour through the history of Turkey continues with a visit to the tranquil, mountain-top House of the Virgin Mary, recognised by the Vatican as the final resting place of Mary, before stopping at Serine - a gorgeous hilltop village famous for its olive oil and wine. 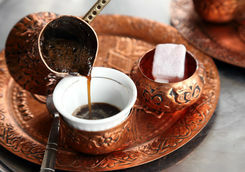 Here, you'll be invited into the home of one of the villagers to get a taste of traditional Turkish family life. Take in the beautiful views over the vineyards and peach orchards, before heading back to your hotel for the night. 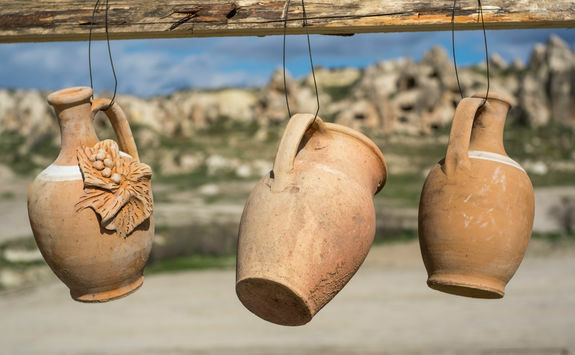 As your Turkish adventure reaches its end, it's up to you how you spend your final days. 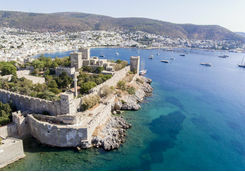 Bodrum has plenty to keep you busy, whether it's haggling away in the many colourful markets, visiting the ancient Bodrum amphitheatre, exploring the grand Castle of St. Peter, heading out onto the shimmering Aegean Sea on a boat trip, strolling around the beautiful Old Town or people-watching at the buzzing marina. 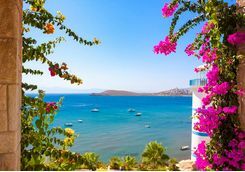 If you fancy sampling Bodrum's famous nightlife, our Concierge will be able to help you find the perfect place to celebrate your last night in Turkey. 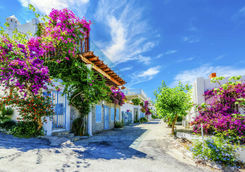 This morning you'll be picked up from your hotel and driven to Bodrum airport to catch your one-and-a-half-hour domestic flight to Istanbul, before making your final flight back to the UK, taking just over four hours.